Pat Sherwood was the "Flowmaster" at our Level-1 Seminar nearly six years ago when Sarah and I decided to become CrossFit trainers. The Flowmaster is in charge of running the weekend-long course, leading some of the most important lectures and managing the rest of the HQ staff on hand as they guide the attendees through hands-on training instruction and classroom lectures. Sarah went on to work on the HQ Seminar Staff with Pat for a few years, traveling around the world spreading the good will of CrossFit to eager wannabe trainers. Pat was a great mentor and is a friend - and as one of the "OG" CrossFitters his perspective and observations are always insightful, entertaining, and helpful. 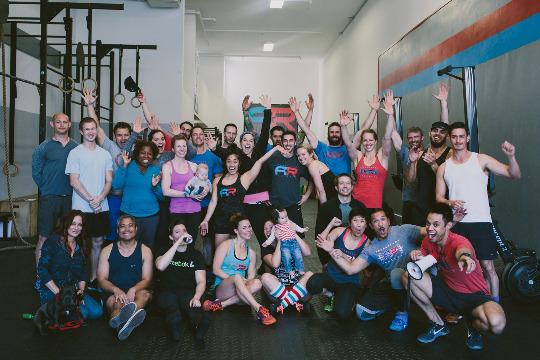 Recently, Pat shared his thoughts on CrossFit after having his 10-year anniversary since doing his very first WOD.